When it comes to making dinner I tend to cook the same easy recipes over and over. They tend to involve my crockpot, chicken, and one or two other ingredients. So when Dominick’s challenged me to create a recipe using two “secret” ingredients I figured it was time to step outside of my crockpot-chicken-comfort zone and try something new. Dominick’s stores have more than 1,000 new international items including Italian, Polish, Hispanic, German, Kosher, Irish, Asian, and Middle Eastern so I wondered what two items I would be told I had to incorporate in my recipe. 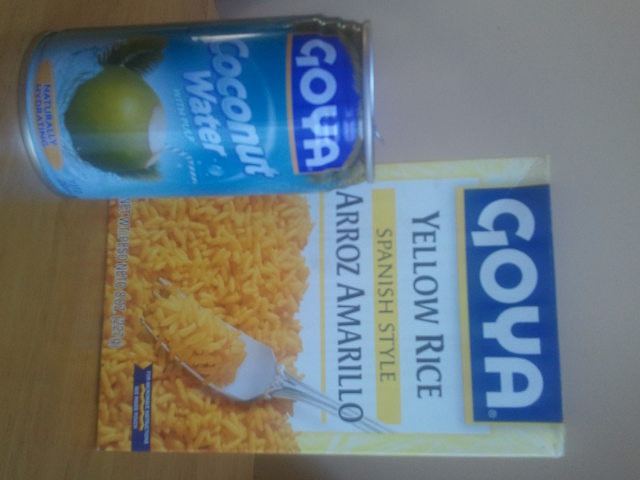 My two ingredients to use were Goya Rice and Goya Coconut Water. Once I got my items Sinisa said he had a great recipe to make and took charge of the whole project (which I was kind of hoping he’d do). He wanted to make a rice meal with veggies and chicken. In the end it turned out so good. It was kind of like fried rice (without the egg) but was moist and juicy instead of dry like the fried rice we normally get from Chinese restaurants. It probably also contained less calories since we used the Goya Coconut Water. 6) Once boiling, stir and turn down to medium heat. Cover and let simmer for 20-25 minutes, stirring occasionally. 7) Turn heat off when done and let settle before serving. Dominick’s is giving away a $50 gift card to one lucky reader! AND leave a comment below saying you’ve done so. You can get an extra entry for sharing this giveaway on the social network of your choice. Just leave a comment below letting me know that you’ve done so. Giveaway ends on October 20, 2012 at 11:59pm Central time. US 18+ only. #DominicksIntl @Dominicks and @aliciamarie112 @aliciamarie112 My fave international ingredient is Marsala Wine. 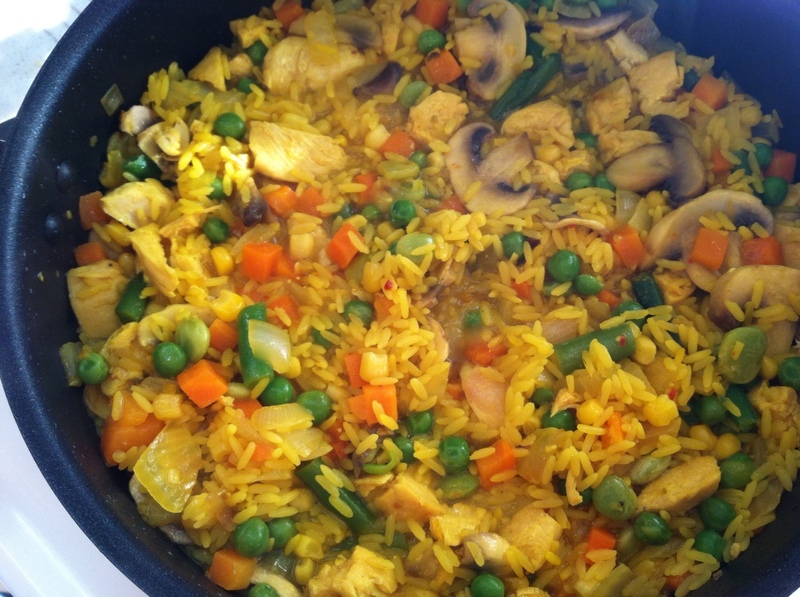 Great recipe, I love Goya Yellow Rice! I shared this on FB! Thanks!